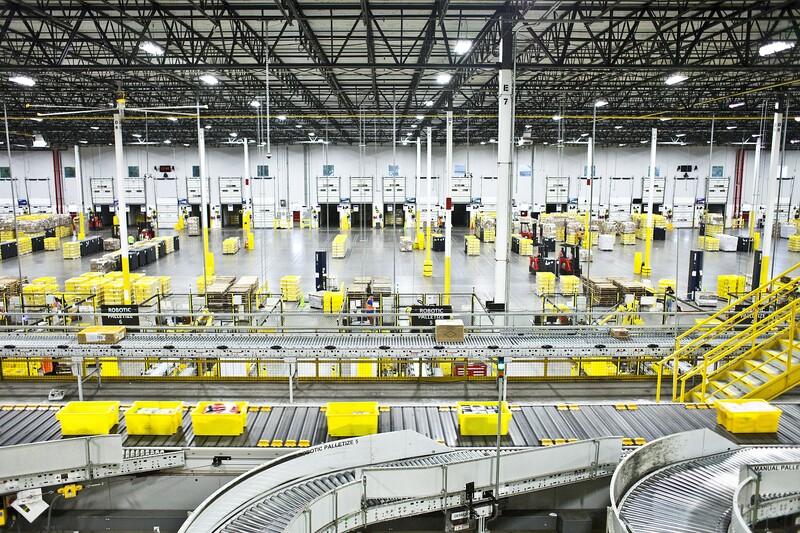 An Amazon warehouse in Florence, N.J., Aug. 29, 2017. Amazon has become the second American company to cross the once-unimaginable line of a trillion-dollar market valuation. The company now captures 49 cents out of every e-commerce dollar in the United States. But the thing it has always sold the most — to investors, customers, the media — is excitement. Long before Amazon went to Hollywood and began making movies, it was the star of its own show, generating vast amounts of attention just for being Amazon. Amazon’s search for a second headquarters set off a nationwide frenzy among politicians. Bezos even gamified his philanthropic plans, taking to Twitter to solicit advice about what he should do. Would Amazon collapse, or would it eat the world? It was the corporation-as-reality series, and it’s been a long-running hit. Take Amazon’s drone-delivery program, which it first announced on “60 Minutes.” Roughly a million features were written about Amazon and its drones, nearly all with the subtext: Isn’t this the coolest thing ever? Even if the drones do not pan out, they have kept attention focused on the company. Apple had profits of $48 billion last year. Amazon’s were less than a tenth of that. If profits were all that mattered, Amazon should be worth about $100 billion. Even before Amazon hit $1 trillion, there was a poll on Facebook run by a group of young Wall Street investors. The question: Would Amazon or Apple be the first to hit $2 trillion?